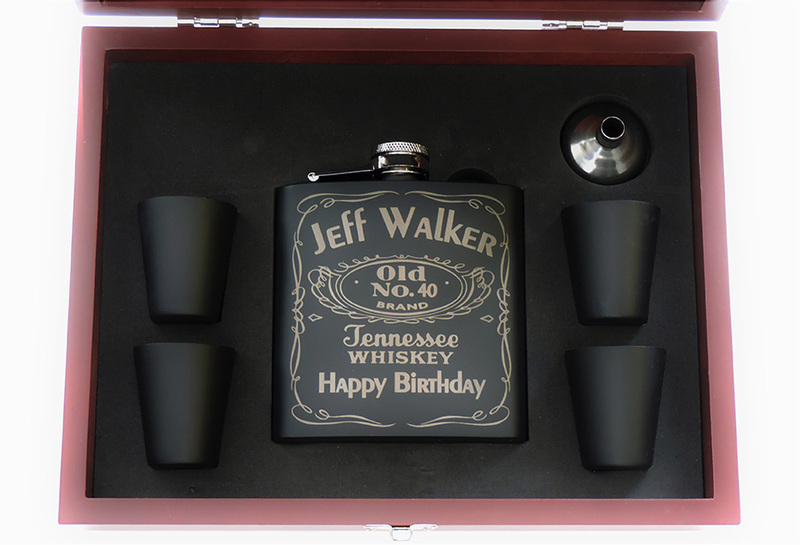 This is a perfect gift, personalized engraved whiskey flask set matte black in wood presentation box. 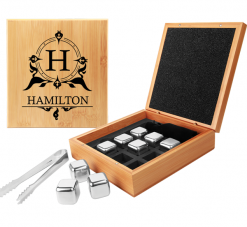 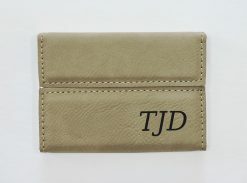 Give a gift they will keep and cherish, perfect for birthdays, anniversaries, weddings, groomsman gifts, executive gifts for someone special. 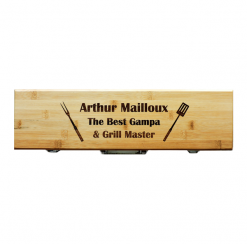 In addition to having the flask engraved we can also laser etch the very nice wood presentation box with your personal message, just message me with what you want on it! This is a nice gift set, flask holds 6 fluid oz and has 4 shot glasses and a funnel in a gift box as shown.